It's IWSG Wednesday! Can you believe it's March 1? 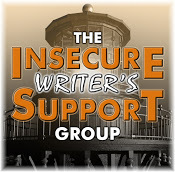 The IWSG March Question: Have you ever pulled out a really old story and reworked it? Did it work? It depends on one's definition of really old. Like Steven King's UNDER THE DOME? If so, yes I pulled one out and no it didn't work out. I have been re-releasing books that were published several years ago. I love this cover (designed by pixelstudio at Fiverr). It reminds me of Donna's Gracie at the Gather Blog. Marnie has a secret that could rock the modern world. Two men have discovered it. One is a scholar. One is a madman. This reader thanks all writers - from the bottom of her greedy heart. Hi, EC!!!! So glad to see you. Thanks, Val! And a happy Wednesday to you. Happy birthday to Faux, Have a great Wednesday Sandra. Cool that you've going back and re-releasing some books. Almost scary how our writing changes over the years, isn't it? Cover really catches the eye. Happy 15th Faux Paw! Happy Birthday Faux Paw! Happy March 1st too Sandra. I love that you are re-releasing books. How cool is that? That is interesting about re-working a book. Thank you for the shoutout and how sweet is your Kitty with a birthday. I had a shorthaired one like that named Tux. The photo really did remind me of your picture of Gracie. I've rereleased mine several times. Happy birthday to your kitty. Happy birthday to the cat. Good luck with the re-release! Sometimes a rewrite works, and sometimes not! Maybe next time! Love this: "Marnie has a secret that could rock the modern world. Two men have discovered it. One is a scholar. One is a madman." I'm already spellbound and I haven't even started reading it! Good on you for getting those books back out there! I can't even imagine all the "joy" of republishing a book. Congrats on the re-release, Sandra. That's wonderful. Faux Paw is a delight to see. Happy birthday to Faux! Yes, it's March. Spring is just around the corner, Sandra. Let's here it for spring. I am so late-always so busy on Wednesday and then we had a power outage last night. 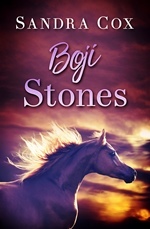 You book cover is nice...I love horses. 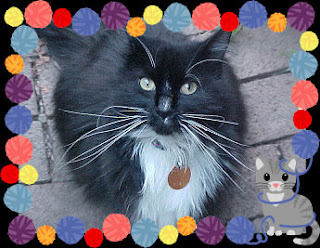 Happy Birthday to Faux paw-great name! I love horses too, Birgit. A very nice description grabbing the readers interest. Happy March Sandra! I know I have reworked paintings. Your book sounds intriguing! Love the cover! Happy 15th to your fur baby! Big Hugs!